Zambia‘s Supreme Court has rejected a petition by opposition leader Michael Sata, for a recount of the votes in the October 30 presidential by-election in Africa’s biggest copper producer. This follows calls by President Rupiah Banda on the Supreme Court to dismiss Sata’s petition. The petition had raised the prospect of prolonged political uncertainty in a country suffering badly from the fall in copper prices caused by the global economic downturn. According to our sources acting Chief Justice Irene Mambilima said, “… this application is … refused with costs”. 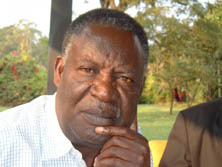 The election was held to replace President Levy P Mwanawasa, SC. who died in Paris on August 19th after suffering from a stroke in June during an AU summit in Egypt. Mwanawasa’s fiscal discipline and fight against corruption won praise from Western donors and investors. In a separate submission, Sata said the electoral commission had allowed voting to be extended by two days in some rural constituencies, giving an advantage to Banda. He said the huge numbers of invalid votes recorded in his urban strongholds were intended to give victory to Banda. The electoral commission said the poll extension was due to problems in delivering election materials to remote parts of the country with poor road networks.